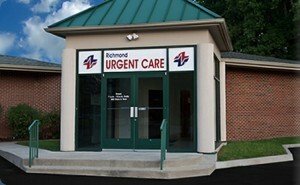 Richmond Urgent Care is Richmond’s newest Urgent Care/Walk-In Clinic. We pride ourselves on providing quality care and professional service. Our wait times are minimal and no appointment is necessary. Richmond Urgent Care is staffed with Board-Certified physicians highly trained in both adult and pediatric urgent care. In addition, we are the only urgent care open early at 8 am daily for your convenience. With board-certified physicians on-site and a full medical team, Richmond Urgent Care provides fast, effective treatment for a variety of injuries and illnesses. At Richmond Urgent Care, most patients can be seen and discharged within 30 minutes of registration. We offer a convenient digital, private check-in. Whether it’s during the day or afterhours, Richmond Urgent Care continues to provide you with excellent service and quality healthcare. Copyright 2014. Richmond Urgent Care. All rights reserved.